UFC 234 Robert Whittaker vs. Kevin Gastelum Fight Pick & Preview | MMA Fighting Events Videos Techniques UFC Fight Picks and News. 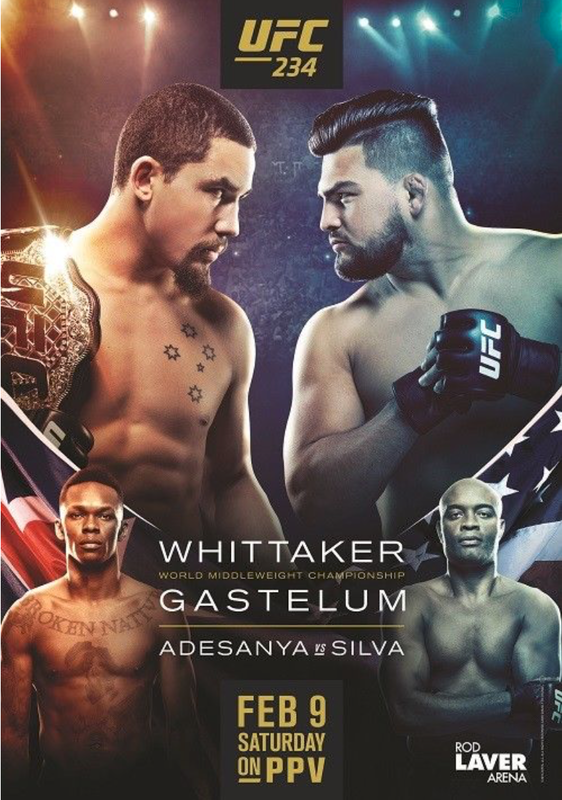 The main event at UFC 234 will feature two of the best strikers in MMA, Robert Whittaker vs Kevin Gastelum. Whittaker is coming off two absolute wars with Yoel Romero and Gastelum has recently taken out to legends in Ronaldo Souza and Michael Bisping. If you like chingasos, this one should not disappoint! Let's take a closer look at these to MMA fighters and then I'll make my fight pick for UFC 234: Robert Whittaker vs Kevin Gastelum. Kevin Gastelum is coming into UFC 234 with an overall MMA record of 15-3. Gastelum has finished off 67% of his fights, 6 coming via the way of KO/TKO and four via submission. The Ultimate Fighter reality show put Gastelum on the map and his consistent winning ability has given him the opportunity at the UFC middleweight championship. Gastelum has a great grappling base and his striking has only gotten better and better. Robert Whittaker comes into this UFC title defense with an overall MMA record of 20-4. Whittaker hasn't lost a UFC fight since 2014 where he lost via TKO to Stephen Thompson. Since then he's come back stronger and has rattled off 9 big wins in a row! Whittaker has some of the best striking skills in MMA. His ground game is solid but since he likes to stand he hasn't needed to show much of it. 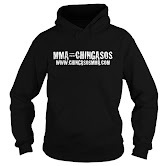 His takedown defense is top notch as he showed in the Yoel Romero fights. If Whittaker wants to stand and bang, Whitaker will stand and bang! Look for this fight to come down to precision striking. And, unfortunately for Kevin Gastelum, Whittaker is the more technical, striker! Gastelum is a tough fighter, but precision striking will be the key in this fight. Look for Whittaker to pepper his way into another UFC title defense!